The Ravens are now down to 66 players. The Ravens have released offensive lineman Jeremy Zuttah and quarterback Thaddeus Lewis, according to Adam Schefter of ESPN.com (Twitter link). Running back Lorenzo Taliaferro has also that he’s been waived (Twitter link). Zuttah, 31, has had an eventful offseason, as Baltimore originally dealt him to the 49ers earlier this year. 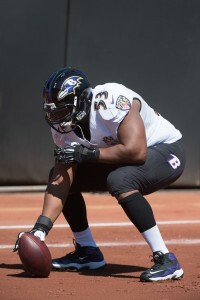 Unable to stick on the roster in San Francisco, Zuttah re-signed with the Ravens last month after the club suffered a multitude of injuries along the offensive line. The Colts were previously interested in Zuttah, who started all 16 games a season ago, so Indianapolis could potentially circle back to Zuttah now that’s available again. Lewis and Dixon, meanwhile, were never expected to play large parts for the Ravens in 2016. With Joe Flacco on the mend, Baltimore will roll with Ryan Mallett as their No. 2 quarterback. Taliaferro wasn’t able to crack the roster despite the Ravens having lost fellow back Kenneth Dixon for the year. Bills coach Sean McDermott says he is not considering a quarterback change, despite comments that made it seem as though he could move away from Tyrod Taylor (Twitter link via Vic Carucci of The Buffalo News). Taylor struggled against Jacksonville on Thursday night, leading some to speculate that rookie Nathan Peterman could step in as the starter. The Bills inked Taylor to a new two-year deal this past offseason, but they’re really only tied to him through 2017. Only $1MM of his $10MM salary in 2018 is guaranteed and he could theoretically be released before he can collect on his $6MM roster bonus early in the 2018 league year. Lions coach Jim Caldwell says safety Tavon Wilson could still face a potential suspension for the civil lawsuit filed against him by his ex-girlfriend. “The league has the information,” Caldwell said (via Dave Birkett of the Detroit Free Press). “They’ll look at, they’ll make a determination. If there’s an issue they’ll let us know. So that’s all we can do.” The woman claims that Wilson and his friends threw her to the ground and broke her nose, but the safety was not charged with any crimes relating to the May 2016 incident. The Colts did not pursue Jeremy Zuttah as hard as the Ravens did, Stephen Holder of the Indianapolis Star (Twitter links) hears. The Colts also had a need for Zuttah in the wake of Ryan Kelly‘s injury, but their offer apparently didn’t measure up to Baltimore’s. 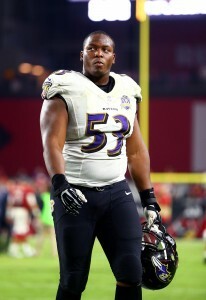 The Ravens signed center Jeremy Zuttah. Mike Preston of The Baltimore Sun (on Twitter) first reported that the two sides were nearing agreement. It’s a two-year deal with nearly $4MM in base salary and a max value of $6MM achievable through playing time, a source tells Ian Rapoport of NFL.com (on Twitter). To make room on the roster for Zuttah, the Ravens waived/injured wide receiver Kenny Bell. The Ravens traded Zuttah to the 49ers this offseason, but he wound up on the free agent market when San Francisco cut him loose earlier this month. The Ravens were obviously ready to move on from Zuttah at that point, but that was before a rash of injuries and a surprise retirement left them with major holes on the offensive line. Alex Lewis and Nico Siragusa were both knocked out for the whole season with injuries while John Urschel opted to walk away from the game at the age of 26. In 2016, the 31-year-old played nearly every offensive snap for Baltimore, grading out as the No. 13 center in the league, according to Pro Football Focus. Zuttah is expected to regain his spot as the team’s starting center while Ryan Jensen will shift to left guard. Before he landed back in Baltimore, the Colts also expressed interest in signing Zuttah. The Ravens are interested in reunited with Jeremy Zuttah, but they’re not the only team with interest in the free agent interior lineman. Zuttah is expected to visit the Colts this week, a source tells ESPN.com’s Adam Caplan (on Twitter). Zuttah was let go by the 49ers last week after the team decided it would rather go with Daniel Kilgore as the starter with former Rams center Tim Barnes as his primary backup. All in all, Zuttah’s stint in SF lasted only a few months after the team acquired him via trade from Baltimore. That may not be a great endorsement of Zuttah’s skillset at the moment, but one man’s trash can be another man’s treasure in the NFL, particularly in the late summer. The Colts, it seems, are on the lookout for offensive line depth after Ryan Kelly suffered a minor injury earlier this month. The 2016 first-round pick will be sidelined for a few weeks with a foot ailment and although he is not expected to miss regular season time, the Colts are probably reevaluating their Plan B options in the event that issue pops up again. Right now, 2017 undrafted free agent Deyshawn Bond and 2016 UDFA Adam Redmond appear to be the team’s best reserve options at center. The injury bug has struck the Ravens at multiple spots along their roster, and the interior of the club’s offensive line has not been spared. Alex Lewis and Nico Siragusa are both sidelined for the entirety of the 2017 season with injuries, while John Urschel opted to retire at the age of 26. As such, Baltimore is now projected to start James Hurst and Ryan Jensen alongside All Pro right guard Marshal Yanda. Zuttah, whom was sent to San Francisco in exchange for a swap of sixth-round draft choices, could offer improvement at center, and would likely come at a cheap price, which is essential for a Ravens team that ranks dead last in available cap space. In 2016, the 31-year-old Zuttah played nearly every offensive snap for Baltimore, grading as the NFL’s No. 13 center in the process, per Pro Football Focus. If Zuttah is re-signed, the Ravens would likely shift Jensen to left guard, tweets Jeff Zrebiec of the Baltimore Sun. 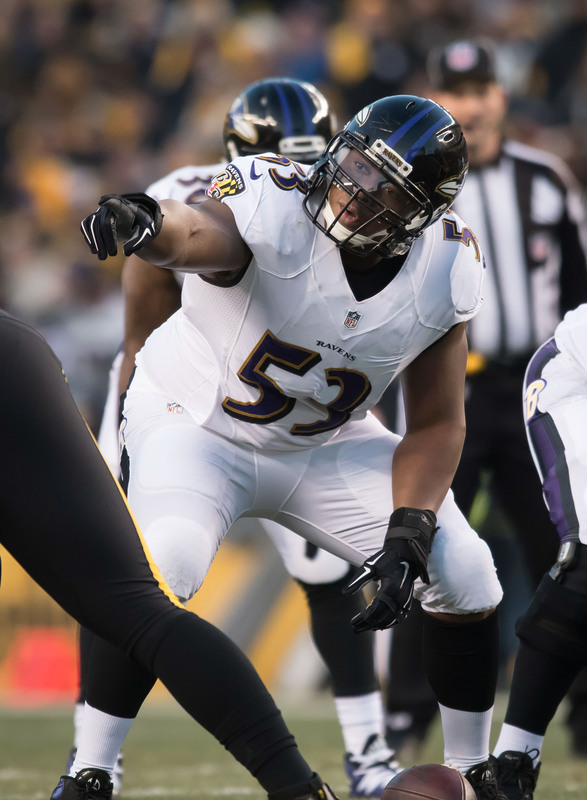 Of course, Zuttah isn’t the only interior lineman who might appear on Baltimore’s radar. The Ravens met with former Jets center Nick Mangold in April, while other available free agents include Austin Pasztor, Orlando Franklin, and Tre’ Jackson. Jeremy Zuttah‘s time in San Francisco did not last long. The center has been waived, per an announcement from the 49ers. In a related move, the team signed linebacker Sean Porter. Zuttah will now seek his third team of the offseason. In March, the Ravens decided to waive Zuttah before a last-minute call from the Niners turned the transaction into a trade. At the time, Zuttah was expected to slot in as the team’s starting center. Apparently, Zuttah did not meet expectations. Daniel Kilgore now profiles as the team’s new starter while Tim Barnes, who previously served as the Rams’ starting center for multiple seasons, should be his primary backup. Zuttah was the Ravens’ starter in the middle from 2014 through 2016. Last year, the advanced metrics at Pro Football Focus placed Zuttah as the 13th best center in the league. His 82.7 score was his best showing since his rookie campaign. The Ravens have traded center Jeremy Zuttah to the 49ers, according to a team announcement. In the deal, the two teams will swap sixth-round picks. The Ravens will move up 12 picks late in the draft. The Ravens get pick No. 186 from the 49ers and San Francisco takes Baltimore’s pick No. 198. The Ravens initially planned to release Zuttah, but the Ravens were able to work out a trade instead. This happens from time to time in the NFL – a team notifies a player of his release, word leaks out, and a team receives a phone call from an interested club before the transaction becomes official. Now, the 49ers get Zuttah without having to compete with other interested teams. Zuttah is not a superstar, but he is a solid center with starting experience. The Rutgers product has been a starter for Baltimore for the last three seasons. In 2016, the advanced numbers Pro Football Focus placed Zuttah as the 13th best center in the league. His 82.7 score was his best showing since his rookie campaign. UPDATE: The Ravens have traded Zuttah to the 49ers. The Ravens are releasing center Jeremy Zuttah, according to Aditi Kinkhabwala of NFL.com (on Twitter). Zuttah has been a starter for Baltimore for the last three years. By cutting Zuttah, the Ravens will save $2.392MM in cap space. They’re also going to need a new center though some of the best options, like new Browns addition J.C. Tretter, are off the board. Veteran Nick Mangold is among the bigger names still available, but he’s not the player he used to be. Multiple teams, reportedly, have asked him to switch positions and that’s not a great sign. Alternatively, the Ravens could fill the void from within by putting John Urschel in the starting role. Zuttah, 31 in June, started in all 16 games for the Ravens last season. Generally, he has had a pretty good attendance record over the course of his nine-year career with the exception of 2015 when he missed six regular season contests. Last year, Pro Football Focus rated Zuttah as the 13th best center in the NFL. His 82.7 score was his best showing since his rookie season (86.7). After spending a week on the Ravens’ practice squad, running back Terrance West has received a promotion to the team’s 53-man roster, per Jeff Zrebiec of the Baltimore Sun (Twitter link). West will take the roster spot vacated by center Jeremy Zuttah, who is heading to the injured reserve list with a torn pectoral, ending his season. West, 24, was the Browns’ leading rusher in his rookie season last year, accumulating 673 yards and four touchdowns on the ground, on 171 carries. However, the 2014 third-round pick was sent to the Titans prior to the 2015 season, and he didn’t have much of a role in Tennessee. Having fallen behind Antonio Andrews and Bishop Sankey on the depth chart, with David Cobb on the way back as well, West had just 50 yards on 16 carries for the Titans this season. West went unclaimed on waivers when he was cut by Tennessee earlier this month, but drew interest from around the league, and eventually decided to sign with his hometown Ravens. The Baltimore native and former Towson standout will join a backfield that currently features Justin Forsett, Javorius Allen, and Raheem Mostert. As for Zuttah, the veteran lineman hadn’t missed a start since the 2011 season, but he’ll be sidelined for the rest of the year with that pectoral injury. John Urschel will step into the starting center role for Baltimore.